Price in Nepal currency is NPR 7.8 lakhs. As per today's conversion rate, this means it is about Indian Rupees Rs 4.9 lakhs. Even as Nepal continues to snub India and gets cosier with China, Indian auto companies aren’t willing to let go of any opportunities that exist in the Himalayan kingdom. Most recent example is leading luna manufacturer TVS, who has launched its BMW engineered Apache 310 in Nepal. TVS announced the launch of Apache 310 at the National Automobile Dealers Association (NADA) Auto Show 2018 that was organized in Nepal’s capital, Kathmandu. It is priced from NPR 7.8 lakhs (local currency), which is about Rs 4.9 lakh in Indian Rupees. 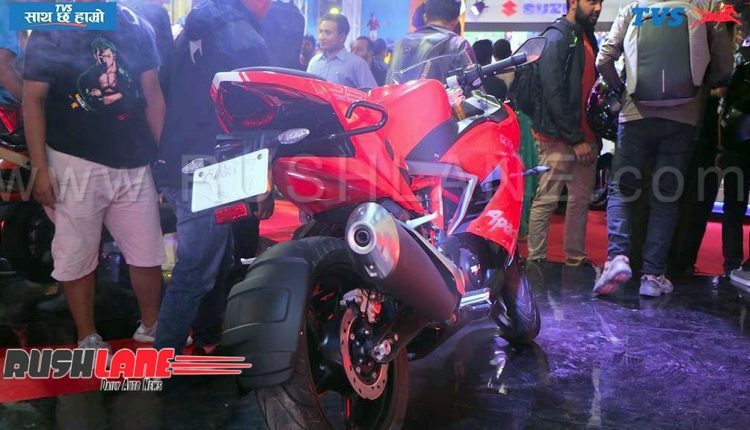 TVS Apache 310 was launched last year in India. 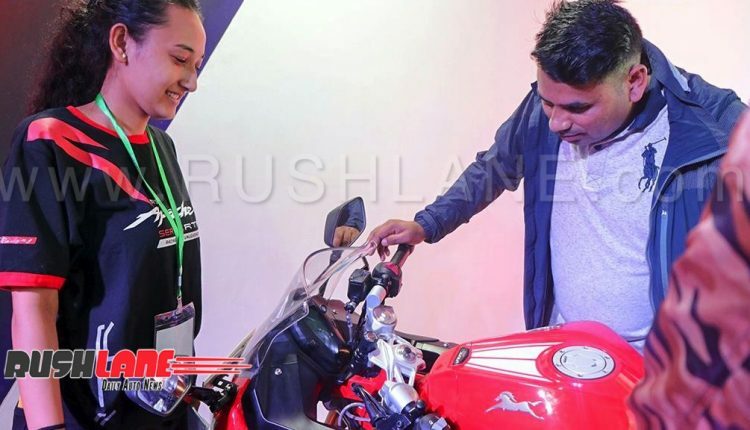 Speaking about the launch of Apache RR 310 in Nepal, the company’s spokesperson said that it was an exciting moment for TVS to offer something unique and powerful to bike lovers in Nepal. 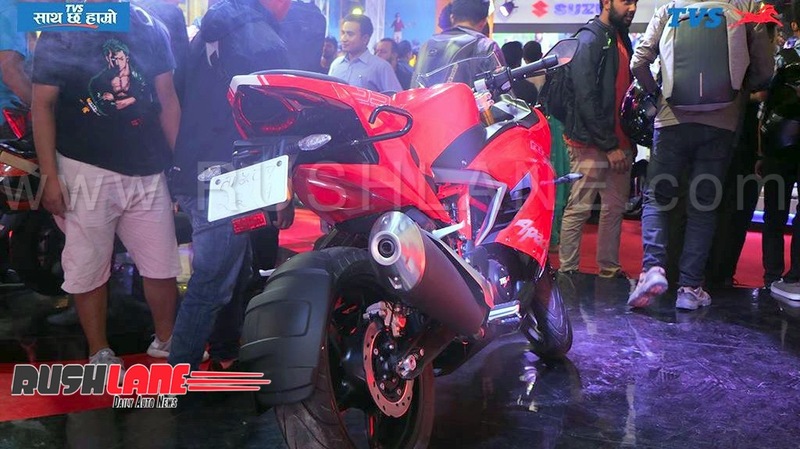 TVS Apache 310 is built by the company at its plant in India. Engineered and developed with BMW, manufacturing duties lie with TVS. The bike is exported to global markets from India. 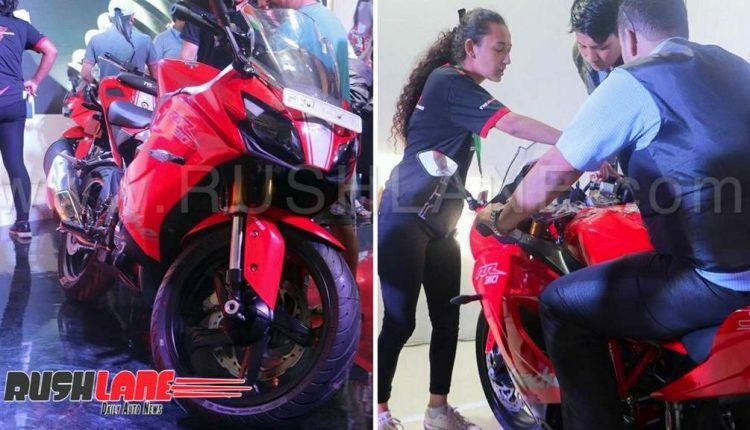 TVS Apache RR 310 has a 312.2cc, 4 stroke, 4 valve, single cylinder, liquid cooled, reverse inclined engine that delivers max power of 34 PS @ 9700 RPM and max torque of 27.3Nm @ 7700 RPM. Just like India, in Nepal too Apache RR 310 is available in two colour options – Racing Red and Sinister Black. Front suspension comprises inverted cartridge telescopic fork whereas rear suspension features two-arm aluminium die-cast swingarm Mono tube floating piston gas assisted shock absorber. Brakes are Disc Petal type with ABS. At the time of launch, TVS had aimed to sell about 1,000 units of Apache 310 every month. 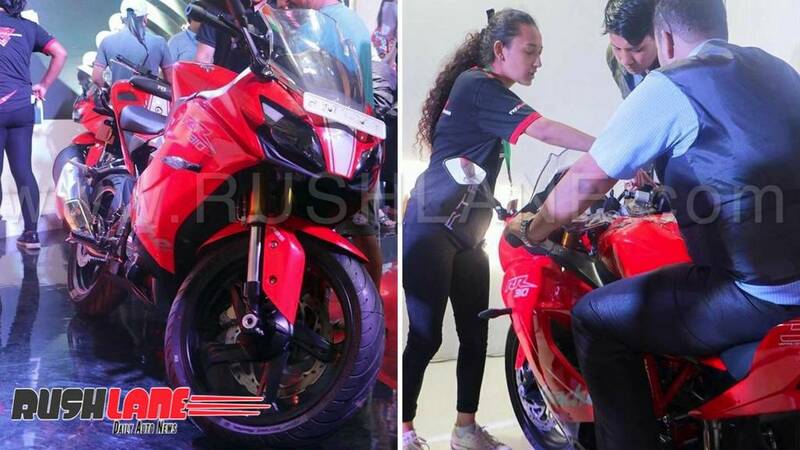 But thanks to high price tag, and expensive spares and parts; sales of the TVS Apache 310 have continued to decline. Its last reported monthly sales figures are just 351 units. Hopefully by launching in newer markets the company can achieve better sales. In spite of losing sales in performance segment, TVS continues to lead in the luna and rickshaw segment in India.